When people take photos of their home, it’s usually a picture of the home’s exterior, landscaping, or interior decorating. Most people would not consider taking pictures of the inside of the walls; there’s not much inside the walls that people would find beautiful. However, these photos serve a very useful purpose and should be considered more practical than aesthetic. Once plumbing is installed in a new house, the system is somewhat rigid. Installing new plumbing in a different layout is possible. However, it’s easier to use the current design by connecting new pipes to existing pipes and stacks. The infrastructure stays the same, so you will not have to run new pipes around corners and across ceilings or floors. During plumbing installation the floors, walls, and ceilings are open anyway, so taking a picture will be relatively easy. When you have a plumbing project, if you have photos of the pipe layout, you’re ahead of the game. The picture can show you exactly where you can connect pipes to install new fixtures. You’ll also be able to see the location of HVAC ducts, wiring, and framing, which can help you avoid obstacles that can alter your progress or require additional work. Blueprints can serve a similar purpose; however, most people do not know how to read a blueprint. Unless you’re a professional contractor, the plan may not help you with your project. Also, blueprints may not contain any last-minute changes or adjustments that were made to your plumbing system by the contractor. The photo would show the plumbing as it was installed so that you can be sure that everything is in the location shown. Your plumbing system is an essential part of your home. If your plumbing system is performing poorly, it can lead to additional problems with other home systems. 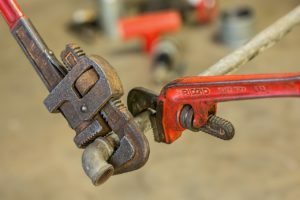 If you want to make sure that the plumbing services you receive are performed correctly, contact plumber you can trust.